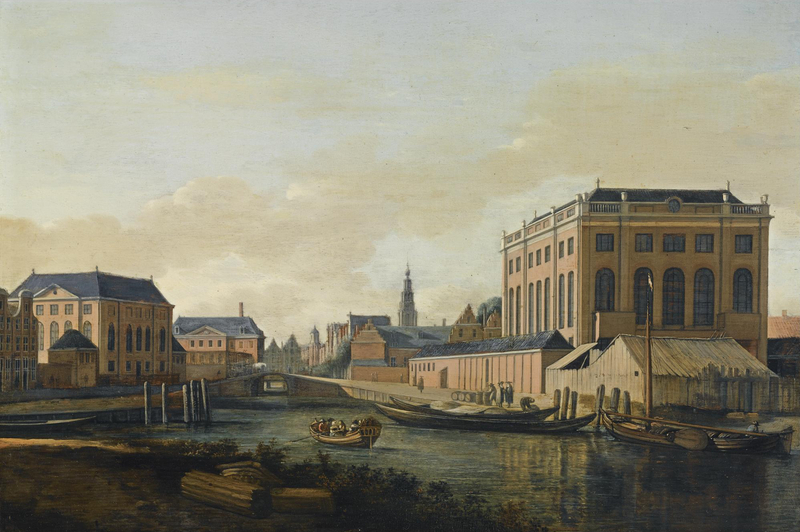 A recent exhibition at the stunning Hermitage Museum in Amsterdam brought me face to face with this wonderful quiet cityscape depicting the two synagogues that were built in 17th century Amsterdam and still exist today. 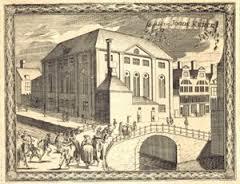 The synagogue on the left belonged to the Ashkenazi Jews (completed in 1671), the one on the right to the Sephardic Jewish community (completed in 1675). 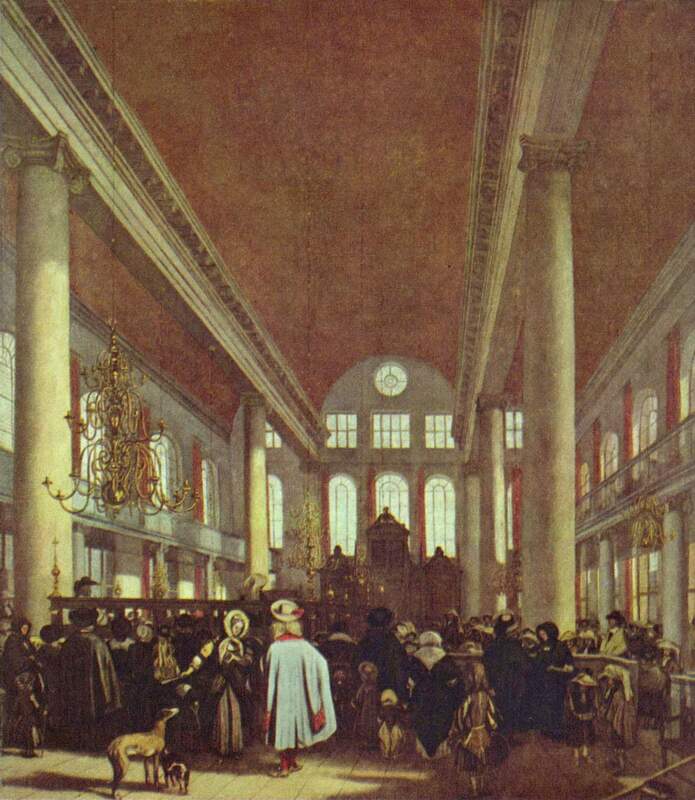 The Amsterdam Sephardic community was one of the largest and richest Jewish communities in Europe during the Dutch Golden Age, and their very large synagogue reflected this. Amsterdam, colloquially called “Mokum” in Amsterdam slang (“Mokum” is Yiddish for “town”, derived from the Hebrew “makom”, which literally means “place”) was a safe haven for the persecuted Jewish communities throughout Europe. The sephardic Jews came mainly from Portugal and Spain, the Ashkenazim mainly from Poland. Many of the new Ashkenazi immigrants were poor, contrary to their relatively wealthy Sephardic co-religionists. 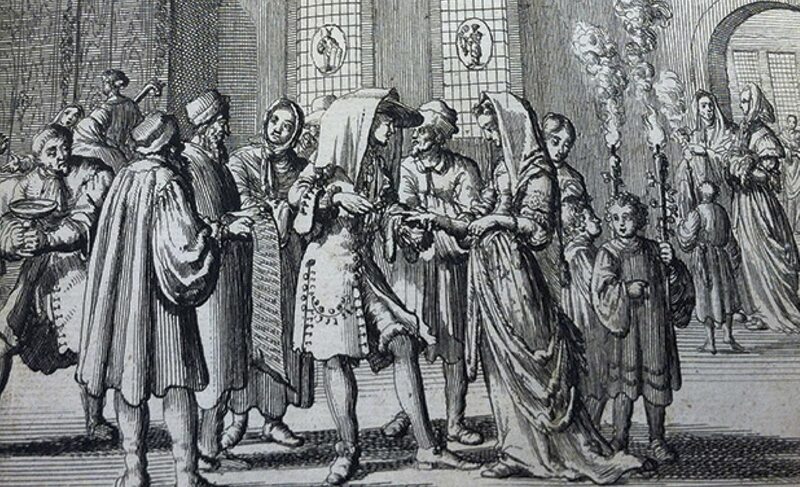 They were only allowed in Amsterdam because of the financial aid promised to them and other guarantees given to the Amsterdam city council by the Sephardic community, despite the religious and cultural differences between the Yiddish-speaking Ashkenazim and the Portuguese-speaking Sephardim. 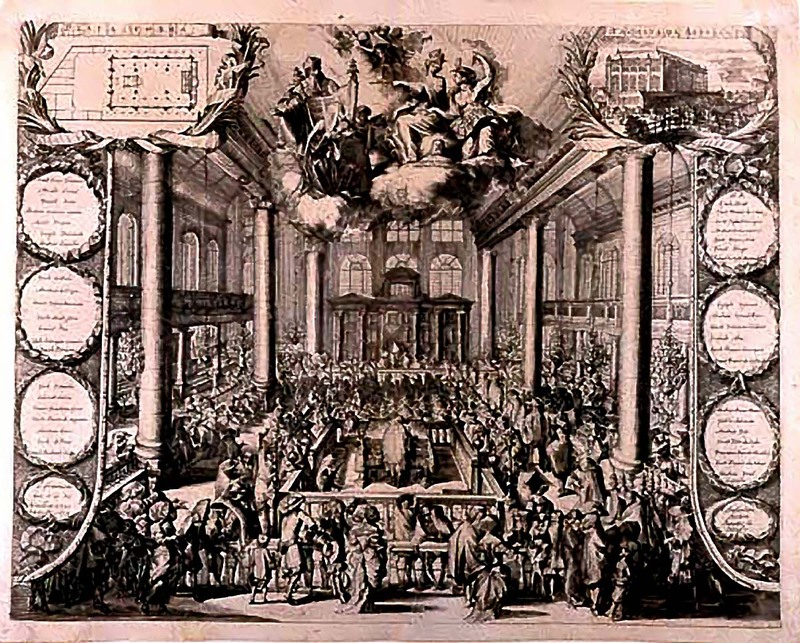 Etching by Jan Luyken, “Kerk-Zeeden ende Gewoonten die huiden in gebruik zijn onder de Jooden” (Church rules and habits practised today by Jews) – Amsterdam – 1683. More on how Amsterdam colloquial language and consequently Dutch slang is peppered with Yiddish words in a later post!